with special presentation to Best New Artist Nominees. The event honoring the iconic singer and songwriter Joan Manuel Serrat will take place the night before The Biggest Night in Latin Music® at the Mandalay Bay Events Center in Las Vegas. 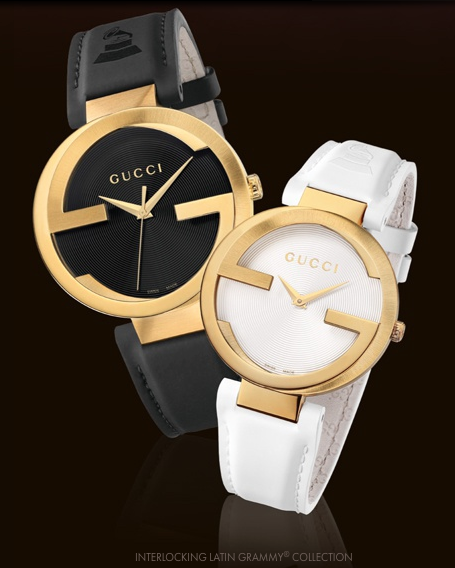 The special presentation is cool because the Nominees will receive the special edition Latin Grammy edition Gucci watch. 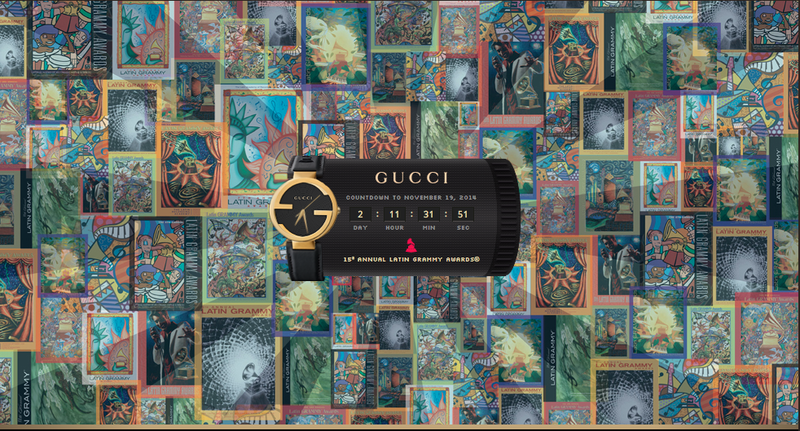 The Gucci Latin Grammy edition was first released in 2011. It features the signature interlocking GG and a face that is meant to resemble a record with the groves. A portion of the proceeds from the Gucci Latin GRAMMY Collection benefit The Latin Recording Academy and it's efforts to support young and emerging artists. In July, Gucci Timepieces & Jewelry partnered with The Latin GRAMMY Cultural Foundation to being "Latin GRAMMY in The Schools" to Lima, Peru. It gave the youth a chance to learn about work of Juan Diego Flórez and "Sinfonia Por El Perú" and the Latin music industry from a panel of experienced musicians. The program also included new musical instruments as a joint pledge from the Cultural Foundation and and retail partners G&G Joyeros. It is the "official timekeeper" to the Latin GRAMMYs.